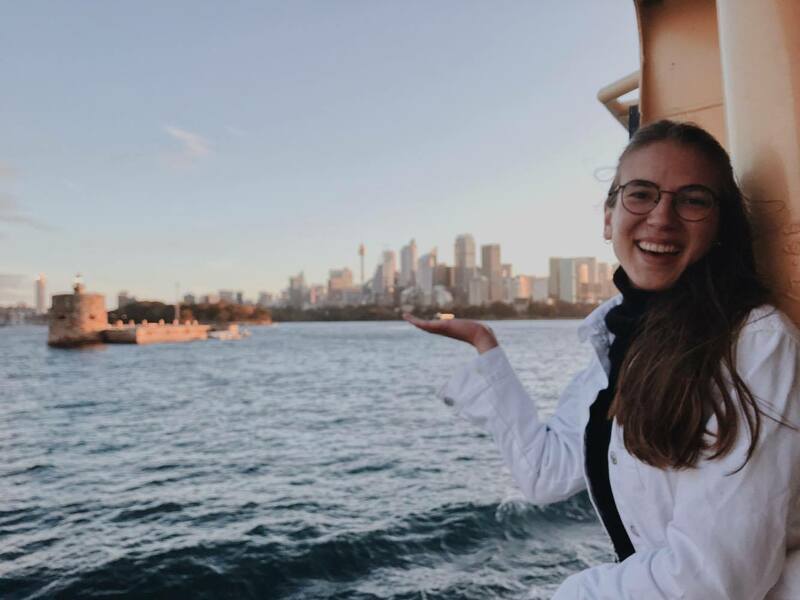 Postgraduate student Nina Colpaert reflects on her semester in Sydney. You joined Sancta on exchange in Semester 2 – where are you from, what are your studying at home? I am from Belgium, more precisely from the city Leuven. This is also where my home university, the University of Leuven (or Katholieke Universiteit Leuven) is located. The KUL is one of the oldest universities in Europe. In Sydney, I studied my first semester of Masters in Law. I just finished my Bachelor degree in Law, which took me three years, and therefore, I was one of the youngest postgrads at Sancta. What attracted you to University of Sydney? We had many choices to go abroad, but Sydney was always on my list. I had never visited Australia before, but to me it seemed like a very welcoming country with a rich culture and a beautiful nature. 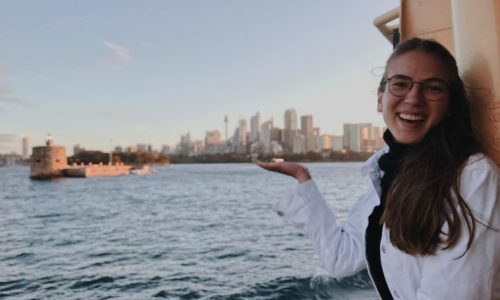 I was attracted to Sydney because I believed that it would definitely be a city that could give me a good view on how Aussies live their lives in the city. 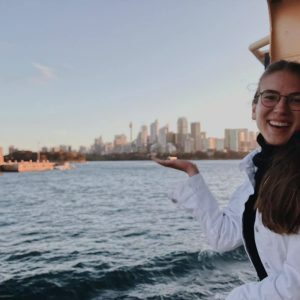 The University of Sydney is a beautiful university, but is also a very open minded and modern university, where students from all over the world mix with local students. What attracted you to Sancta? When I googled Sancta, it seemed a very warm, open place. In Belgium, Colleges are rather rare, so I was immediately interested in what College life could be. I saw photos online and read the information on the website. This made me decide to finally file an application and I was delighted that I received an answer so quickly. On the online pictures I saw that Sancta could be a place where every student could feel at home and it was. The students and staff give Sancta its unique character that is indescribable. What would you say has been the highlight of your time at Sancta? This is a difficult one. Sancta offers so many activities and even the meals at the Dining Hall were great opportunities to chat and have a good time with Sancta friends. I still remember my first Formal Dinner, it was extraordinary, I don’t believe many Belgians have ever experienced such Harry Potter dinners. However, if I need to pick a highlight of my time at Sancta, I would choose Vale. As I was only here for one semester, I was a valetant myself. What I especially enjoyed, were the speeches given that evening. They made me realize what a great place Sancta is and I felt sad that I could not stay longer, to experience more of the warmth that the Sancta family offers. It is true, Sancta was my home, far, far away from home. What would you say to other exchange students considering coming to Sancta? I was surprised by the very small number of exchange students at Sancta (at least amongst postgrads). Sancta is the perfect place for adding an extra dimension to an exchange experience. Meeting locals and other internationals is wonderful, especially in the context of a college. I also believe that Sancta offers more stability and warmth then would some other residencies. Feeling at home is so important when on an exchange and I felt that Sancta and its students offer all the opportunities to create your own new home. Tell us a little about the places you have visited in Australia. Until now I have not had the chance to travel a lot out of Sydney. However, during spring break I travelled the east coast and went up to Brisbane, which was a great experience. Fortunately, I was able to stay a month after the end of semester and I will visit Melbourne, New Zealand, Adelaide and Perth. In Sydney I did a few daytrips, such as a day on the harbour, hikes in the Royal National Park and the Blue Mountains, but I also spent some time at the beach of course.